FACT: 8 in 10 mortgages have been securitised. 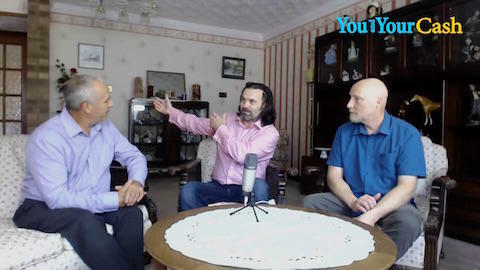 If you’ve seen the Mortgage Destroyer Webinar, you’ll remember we spoke about a serious Legal Challenge which was coming in relation to the mortgage status quo, and we said at the time that the Challenge would “make the PPI debacle seem insignificant in comparison”. The time has finally arrived for mortgage customers to discover the truth about mortgages, how they work, what the Banks have been up to behind the scenes, and how their “wheeler dealing” and failure to be transparent, can actually benefit those very same mortgage customers. Banks would have you believe that securitisation (the process of bundling mortgages and selling the interests/benefits in those mortgages to a third party) exists to improve liquidity (cash flow). The truth is the Banks are profiting in ways that you, the customer, could never have dreamed of. We're going to show you a solution which could ultimately result in your "alleged" Mortgage-Debt being cleared. You may be eligible to clear your existing mortgage balance, if we are successful then you would owe the company concerned 24% inc VAT of the benefit on a No Win No Fee basis. We reveal this solution in finer detail in the four-part video series which you can watch by clicking the button below. Once you've signed up, the videos will be delivered to your inbox at the rate of one video per day, for each of the next four days, starting today! If you first became aware of the Challenge by watching our videos, and if you would like YouAndYourCash.Com to be responsible for all the administrative and telephone support provided to you throughout the lifetime of your Challenge, then you must use the links which can be found running alongside the video series. If you enter the code “YAYC00” you will also receive a £10.00 discount against the usual Challenge cost of £260.00. In other words, the Challenge will cost you £250.00 if you enter the code “YAYC00”, rather the usual £260.00. If it is later shown that your Mortgage has not been securitised, and you have “no-case”, then you will be reimbursed the fee, less £56.40 processing costs. In other words, the maximum amount you pay to find out you have “no-case” is £56.40. WHAT could be the problem with your mortgage? If there is a problem; we’ll explain how can you turn it to your advantage. We’ll also explain why You DO have a CHOICE to do something about the problem, and by getting INFORMED, and taking action. 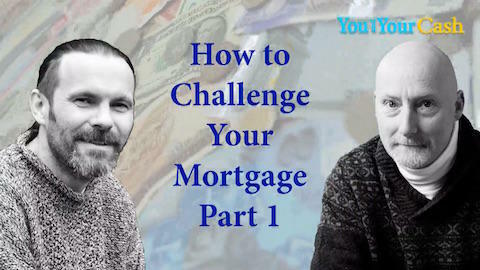 How to challenge your mortgage and win! Find out how your mortgage could potentially be ‘canceled’ or ‘voided’, and whether, or not, you should have been paying your mortgage. Think carefully about how this could benefit you and your family? The Government has known about this since 1991! In the Nineties, the Law Commission warned the government of the day, that this problem would come back and bite their backsides. And now it has – with a vengeance. We reveal calculators that can show you the potential savings on your mortgage and by being FULLY informed you can make a much wiser choice, or just do nothing if you wish.